Pressing /mastering / cut all excellent..very enjoyable album! Pure quality! It legitimately pains me to report that while the production and press are high quality, the only genuine classic track on this album is "The Combine." The tracks that follow are not bad, necessarily, but they are generic, mediocre, unsatisfying. Maus deploys a number of strategies to enhance the tracks; there are plenty of change ups and unexpected left turns in the arrangements. Yet the songs themselves have no hooks, and rarely much harmonic/melodic invention (the quality that made his last LP so satisfying). If it was a single with "The Combine" on the A and "Teenage Witch" on the B, I'd say it's a resounding success. 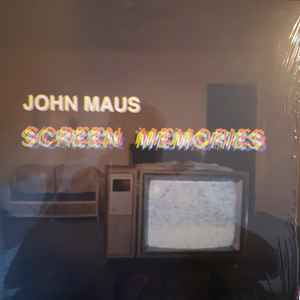 I appreciate John Maus and the work he's done, and also appreciate the overarching theme of personal and collective apocalypse presented in Screen Memories. But unfortunately the music of Screen Memories does not deliver on that promise. So glad I got this, just as enjoyable as all of John Maus' other albums. On the previous album, "Believer" and above all "Quantum Leap" were great songs. I'm afraid those two have no equivalent on this LP. After several listenings, nothing grabbed me. I expected a grower, but especially the middle part of the record is getting more boring every time. Melodies are weak, lyrics without interest, and this 80s revival has lived now. It is not bad (there's a good sound palette), but definitely average. Several people have already mentioned it, but this is a stunning record just on a purely sonic level. A great vinyl pressing that gives the composition even more vacuous space. With a broader dynamic range tones build and decay longer creating a much more richer sound than the digital version of these songs. Does anyone know if this is the exact same version we'll be getting if we preordered the box set?